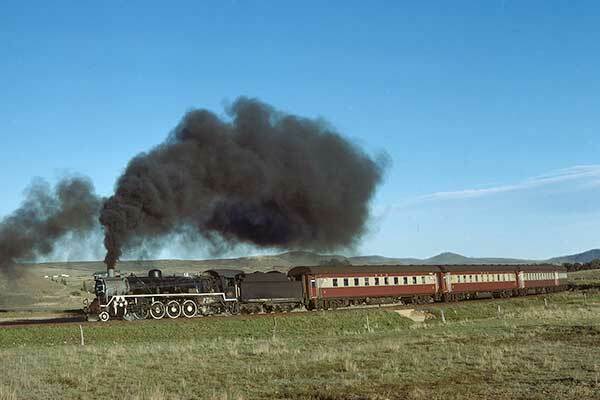 Caption - October 1979 sees South African Railways (SAR) 19D class 4-8-2 no. 2712 with the Maclear to Sterkstroom passenger. The train is seen leaving Bird's River on the final stretch before terminating at Sterkstroom, the junction with the mainline. It will not be long before the sun sets with the end of the journey reached in darkness.